I started eating at this food centre a decade ago as I used to work in the vicinity. 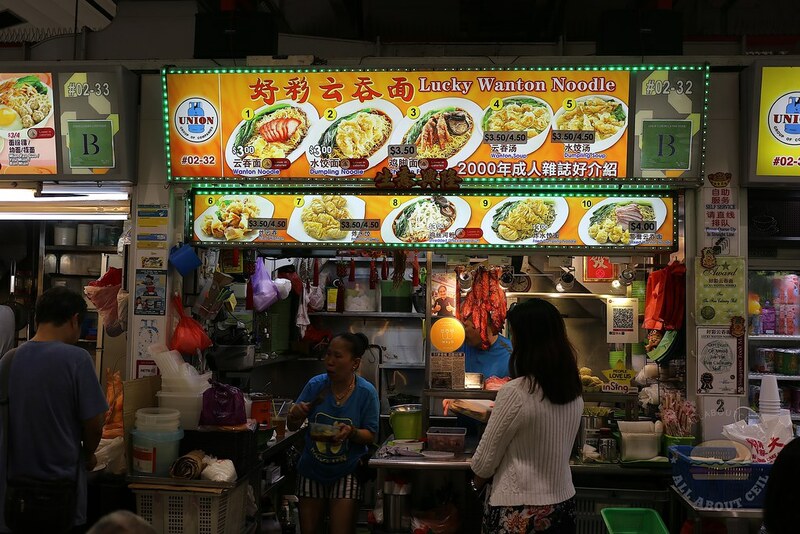 This is one of those stalls that I have been eating since then as it has been in this food centre for a long time. Another stall that is still around is the nasi lemak stall manned by an elderly couple. The nasi lemak set comes with either chicken wing or chicken drumstick and I always go with the latter option. I always got the freshly fried chicken drumstick as I am one of the regulars. They usually sold out before 1 pm or earlier. Some of the other stalls have already closed including a stall manned by an elderly lady serving Shredded Chicken Noodle but it is long gone. There was a carrot cake manned by an elderly man with his son and it is gone too. There was also a dessert stall right at the corner of the row facing the MRT station is gone too, the stall used to serve one of the nicest chng teng. This stall is still manned by Mr Ng, the same owner. He started helping his father when he was 9 years old before eventually taking over the business for more than 40 years and counting. The queue was much shorter when I was there after 2 pm. There were just another 2 customers in front. 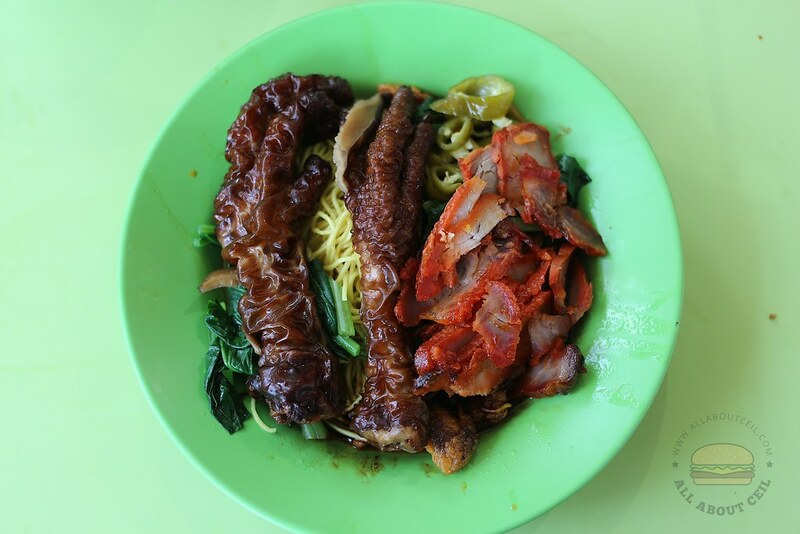 My usual order is always the Wanton Mee at $3. I added $1 for extra wanton and $1.50 for braised chicken feet as I was quite hungry. The lady that is taking the orders can be quite impatient if you are not able to give a specific order. I was asked by the owner in Hokkien whether I want it with preserved green chili which I replied "want" in Hokkien. It was placed on the tray together with the bowl of wanton soup. He used to make the Char Siew but has since stopped doing so. Those pieces of char siew were thinly sliced, not too dry but just average tasting. Those braised chicken feet were nice, it was amongst the best that I have eaten. It was braised till the desired softness and quite flavorful too. 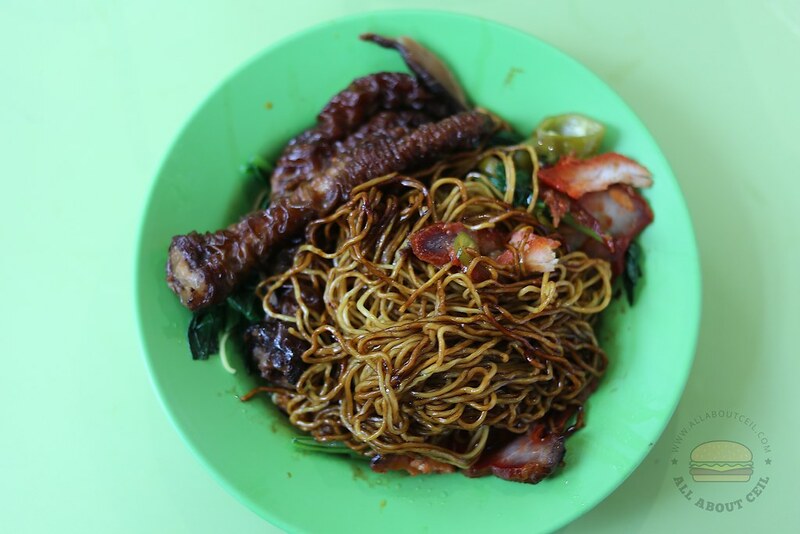 The nicely cooked noodles were served with dark sauce and chilli, like the Kuala Lumper style wanton mee. 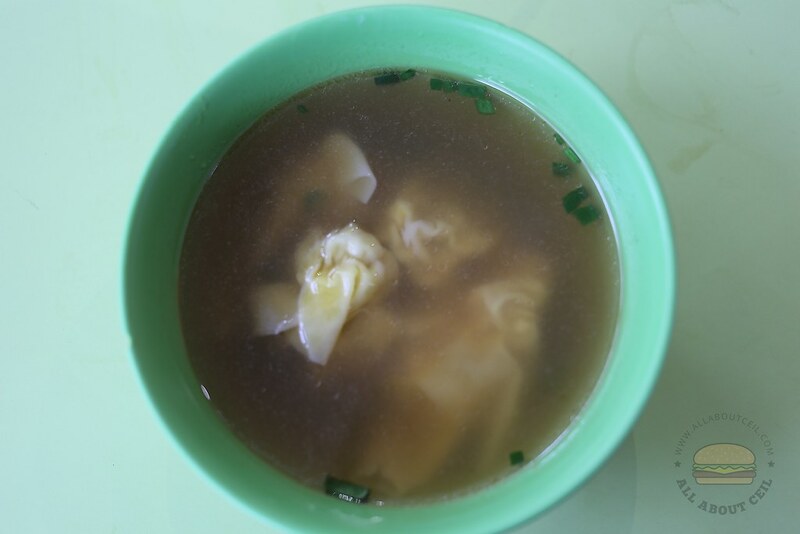 The well-seasoned minced meat of the wanton has got a distinct dried sole fish flavor, firmly wrapped together and served in the lightly flavored soup. This is not the best Wanton Mee but that familiar taste is comforting.